Marion County, Florida — On October 5, 2013, 911 got information that Todd Allan Brecht might be on a bus that’s stopping in Marion County. 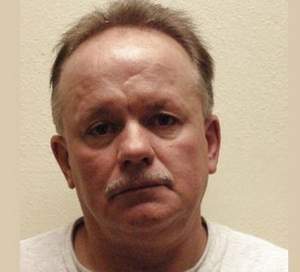 Brecht, 54, was convicted of first-degree murder for the 1980’s killing of Buffalo County District Attorney Roger Hartman. Hartman was Brecht’s brother-in-law, Brecht shot him in the back after an argument. He recently escaped from a prison in Wisconsin. Brecht was on a bus, but it didn’t stop in Marion County. Marion County Sheriff’s Office Crime Suppression Division team members decided to follow the bus and once it stopped; they would check for Brecht. It soon became apparent that the bus was scheduled to stop in Orlando, at which time the Orlando Police Department was notified about the bus making a station stop. The Marion County Sheriff Office, working in cooperation with the Orlando Police Department, searched for Brecht. Marion County Sheriff’s Office Deputy Ben Adams and Sergeant Jeff Raker were inside the bus station where they saw Brecht. The escapee was stopped by Adams and Raker who handcuffed Brecht and turned him over to the Orlando Police Department. Brecht had $3,500 in cash on him at the time of his arrest, he told police he was headed to the Keys, where he hoped to get a job. Brecht was booked into the Orange County Jail at 9:20 a.m. today. He’s being held as a fugitive from justice with a warrant from Oneida County, Wisconsin. Brecht will be extradited back to the Wisconsin prison.